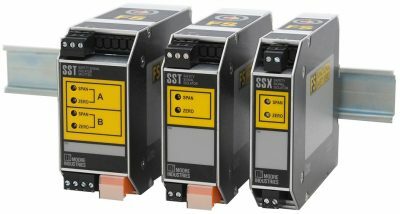 Part of Moore Industries’ FS Functional Safety Series, the exida® approved, SIL 3 capable 2-wire (loop powered) SSX and 4-wire (line/mains powered) SST Safety Isolators and Splitters provide isolation and signal conversion for your SIS (Safety Instrumented System) needs. 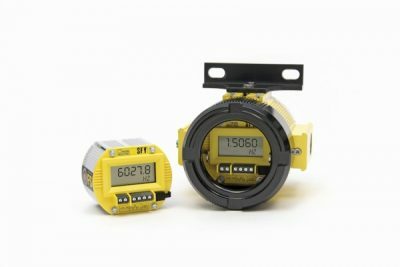 These units protect and enhance loops and also pass valuable HART® data from the field transmitter to host systems and vice-versa. Exceptional accuracy and stability. Accuracy typically ±0.025% of span with long-term stability – up to 5 years between scheduled calibrations. Measures frequency ranges between an amazingly low 0.005Hz up to 25kHz; periods from 40microseconds to 200sec. 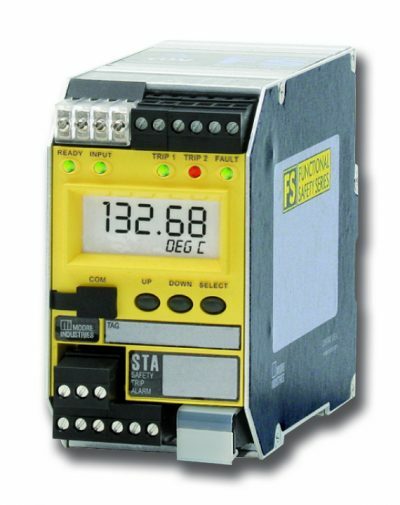 User-configurable 5-digit LCD shows the process variable in selectable engineering units.